Nursing assistants are vital to the ongoing functions of any medical center, hospital, or care facility, and are an excellent starting point to any career in medicine. Rates of pay for certified nursing assistants are well above minimum wage, and with experience and promotions is often considered a very good salary. 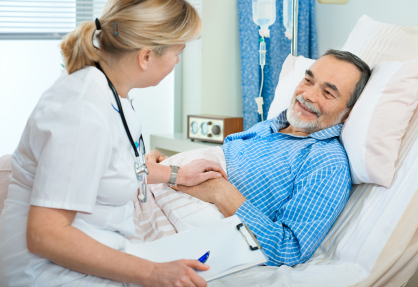 A nurse assistant typically performs non-medical duties relating to the personal needs of patients, such as helping with bathing, changing dressings and recording vital signs, assisting with food and eating, changing bed linen, and offering much needed emotional comfort so essential in their recovery or day to day lives. 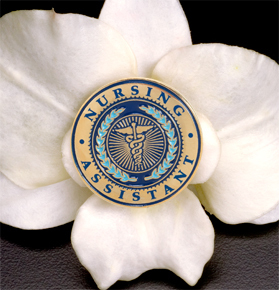 A nurse assistant works under the direct supervision of a registered nurse, and follows set guidelines. Facilities where certified nurse assistants can expect to be employed will include large county hospitals, private medical centers, residential care facilities, convalescence home, and high traffic zones with a dedicated medical team such as airports, theme parks, sport stadiums etc. Recent graduates of a nursing assistant training program who have passed their state exam will rarely be offered top hourly rates, and should expect to start working at an hourly rate (Sept 2011) of approximately US$8.30 going up to US$14.35 but this scale is very dependent on location and employer. These rates translate to annual wages of between US$14,260 for low scale first year CNAs up to and US$41,200 for experienced nurse assistants with supervisory responsibility. Most employers also include insurance and 401(k) which adds to the basic wage. The top rate of pay for a CNA of 20 years employment could realistically be expected to hit US$48,000. The average wage for a nursing assistant with 2-3 years experience will sit between US$11 to US$15, which would provide annual wages of between US$20,000 to US$30,000. As well, nurse assistants are often called on to work overtime and holiday shifts where hourly rates are higher. Within the health care industry, one of the most effective ways of increasing hourly pay is through ongoing training. Successfully completing additional elective courses, or simply taking initiative and asking for more in-house training often results in pay increases. Further study that a nurse assistant may like to take could include the Home Health Aide (HHA) or Patient Care Assistant (PCA). Many positions advertised for nursing assistants may specify the role is offered on a per diem or contract basis, and the hourly rate will typically appear higher than normal, however these positions frequently don’t include benefits, meaning the employee will need to self-fund insurances and their 401(k). You should always check with your attorney or tax accountant before signing a contract of this type to make sure you know your responsibilities and are able to budget correctly. Rates of pay also vary from state to state, with some offering much higher hourly wages for nurse assistants due to ageing populations or lack of qualified staff. The top five earning states for certified nurse assistants are Nevada, New York, Hawaii, Alaska, and Connecticut where average hourly rates are around US$14.40 in Connecticut to US$15.60 in Alaska.